Mentor back on stand at State Capture Inquiry - SABC News - Breaking news, special reports, world, business, sport coverage of all South African current events. Africa's news leader. Mentor will complete her evidence and be cross-examined by some of those who have been granted leave to do so. 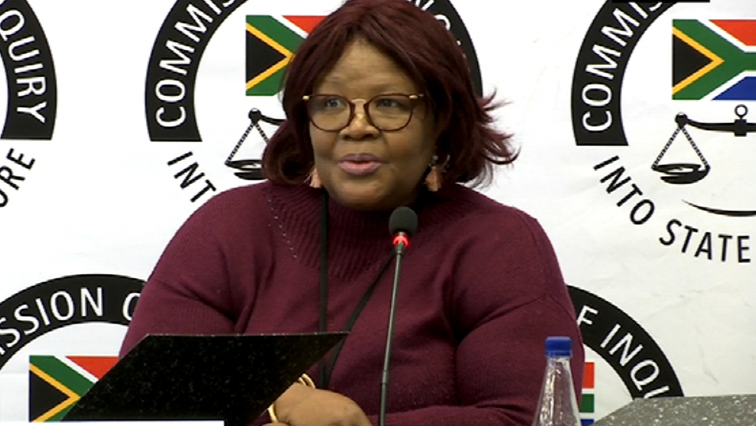 Former African National Congress (ANC) Member of Parliament Vytjie Mentor will be back on the stand when the Commission of Inquiry into State Capture resumes in Parktown, Johannesburg, on Monday. She will complete her evidence and be cross-examined by some of those who have been granted leave to do so. They include Hawks’ Advocate Mandla Mtolo and Major-General Zinhle Mnonopi. They include ANC chairperson Gwede Mantashe, National Executive Committee member Nomvula Mokonyane, former party deployee Dudu Myeni and Member of Parliament Vincent Smith. Cosatu general-secretary Bheki Ntshalintshali says those who are implicated should recuse themselves from any party position until their names are cleared. This entry was posted on 11 Feb 2019,06:22AM at 6:22 AM and is filed under Politics. You can follow any responses to this entry through the RSS 2.0 feed. Both comments and pings are currently closed.